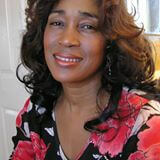 Alexis Smith-Byron Christian motivational speaker/biblical teacher, and author. Tell us how much you like Alexis Smith-Byron. Sisters You Don’t Have To Settle!